According to new recommendations published in the American Heart Association (AHA) journal Circulation, children ages two to 18 should consume less than six teaspoons of added sugars each day. Eating foods high in added sugars throughout childhood is linked to the development of risk factors for heart disease, such as an increased risk of obesity and elevated blood pressure in children and young adults. "There has been a lack of clarity and consensus regarding how much added sugar is considered safe for children, so sugars remain a commonly added ingredient in foods and drinks, and overall consumption by children remains high – the typical American child consumes about triple the recommended amount of added sugars," explains lead author Miriam Vos, MD, MsPH, nutrition scientist and associate professor of pediatrics at Emory University School of Medicine. "Our target recommendation is the same for all children between the ages of two and 18 to keep it simple for parents and public health advocates. For most children, eating no more than six teaspoons of added sugars per day is a healthy and achievable target," says Vos, a physician on staff at Children’s Healthcare of Atlanta. Vos and Emory colleague Jean Welsh, PhD, MPH, RN were part of a national panel of experts who did a comprehensive review of scientific research on the effect of added sugars on children's health. "Studies of nutrients such as added sugars are challenging, but over time the number of studies in children has increased," says Vos. "We believe the scientific evidence for our recommendations is strong and having a specific amount to target will significantly help parents and public health advocates provide the best nutrition possible for our children." 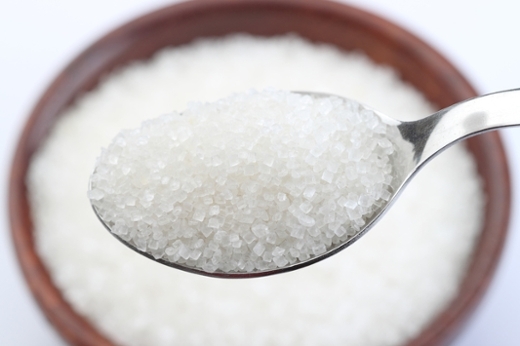 According to the AHA, added sugars are any sugars – including table sugar, fructose and honey – either used in processing and preparing foods or beverages, added to foods at the table or eaten separately. The major sources in American diets are regular soft drinks, sugars, candy, cakes, cookies, pies and fruit drinks; dairy desserts and milk products (ice cream, sweetened yogurt) and other grains (cinnamon toast and honey-nut waffles). Vos says children who eat foods loaded with added sugars tend to eat fewer healthy foods, such as fruits, vegetables, whole grains and low-fat dairy products that are good for their heart health. Added sugars should not be included in the diets of children under the age of two. Children and teens should limit their intake of sugar-sweetened drinks to no more than eight ounces weekly. Overweight children who continue to consume more added sugars are more likely to be insulin resistant, a precursor to type 2 diabetes. Vos noted that the 2015 Dietary Guidelines for Americans, the World Health Organization and the Food and Drug Administration recommend that added sugars should make up less than 10 percent of calories, which aligns with these new guidelines. Other co-authors include Jill Kaar, PhD; Linda Van Horn, PhD, RD. ; Daniel Feig, MD, PhD; Cheryl Anderson, PhD, MPH; Mahesh Patel, MD; Jessica Cruz, MD; Nancy Krebs, MD; Stavra Xanthakos, MD and Rachel Johnson, PhD, MPH, RD. For the full AHA statement, please click here.